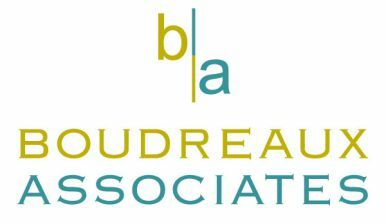 Glen Boudreaux, RID, ASID, IDS, principal and owner, of Boudreaux Associates has spent the last 37 years creating the most distinctive residential and commercial projects providing personal luxury lifestyle environments for high end residential, commercial and hospitality clients across the US. With his design build team of architects, builders, and artisans, Glen provides a rare blend of design, style and comfort, clearly capturing his client’s vision, lifestyle and personality. He completes the team and uses his expertise to offer the complete interiors package for his clients. He has designed residential and commercial interiors, new construction and remodels from 2,500 to 50,000 square feet throughout Texas and the United States. Glen is a leader, and distinguished member, within the interior design community. Armed with a degree in interior design from the Louisiana State University School of Architecture, he became a Registered Interior Designer (RID) in the state of Texas. 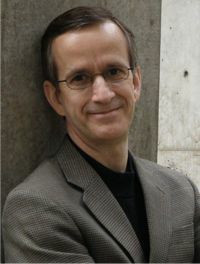 He is also a member of, and has led, numerous organizations including ASID, IFDA, TAID, IDS, and IDG. Glen is a past member of the Best Practices Network (BPN), an exclusive group of only 100 top-tier interior designers, nationwide. D Home Magazine has awarded Glen, for the sixth time, to the list of “The Best Designers in Dallas.” Glen has earned an impeccable reputation among his peers and professionally consults fellow designers through his Design Education division. He has been a featured speaker at national conferences and trade shows such as International Builders Show, Surfaces, 50+ Housing Symposium, ASID, TAID, Metrocon and Dallas Market Center. He was also an adjunct professor of Interior Design for 17 years at the college level. Glen is not only respected by his peers, but revered by his clients as well. The luxury market has unique demands when it comes to exemplifying a lifestyle persona. Glen has perfected the art of drawing his international clientele into the design process, while maintaining the optimum level of management and orchestration. With his passion, dedication and client relationships being vital to his practice, Glen brings a calm process to his work while giving his clients projects that are functional, provide comfortable living spaces and environments they can be proud of. He has worked in the Interior Design Field for 37 years producing award winning designs while being published in local and national publications. Glen’s distinctive approach to casual elegance, integration and attention to subtle design details, has made him a sought after designer for those who demand a vision of excellence. Veronica Eddins graduated from a nationally accredited interior design program with a degree in interior design. 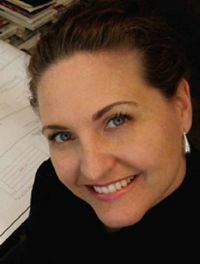 Her previous eight years of experience with a luxury custom home builder has been a valuable asset in helping her improve her skills in design and construction details while managing all the decisions required to keep projects moving and with in budget. She has designed a wide variety of styles from English Tudor, Craftsman, and Italian to Contemporary and Mid Century Modern. Her extensive travel worldwide has brought a mix of classic lines and sophistication to all of her projects. She feels that success in design is through listening to the client, becoming familiar with their style and incorporating that into the project. She creates environments that are tailored to each client’s personality and lifestyle. By blending her knowledge of interior design and her appreciation of architecture, she and Glen produce surroundings that are as functional as well as beautiful. © 2018 Boudreaux Associates. All Rights Reserved.